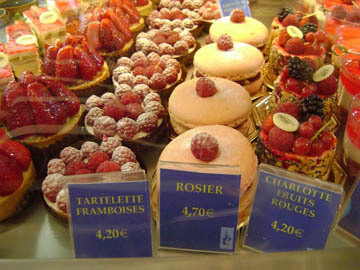 Paris is home to some of the world’s best pastry shops (called patisseries), and the delectable desserts they produce every day are simply to die for. Here are some pastry perfections from my favorite Parisian bakeries: Angelina, Laduree, La Loir dans la Theiere, Mariage Freres, Le Gay Choc, Pain de Sucre and Stohrer. This entry was posted in Food, Patisseries and tagged Angelina, La Loir dans la Theiere, Laduree, Le Gay Choc, Mariage Freres, Pain de Sucre, patisseries, Stohrer by Bob Adams. Bookmark the permalink.